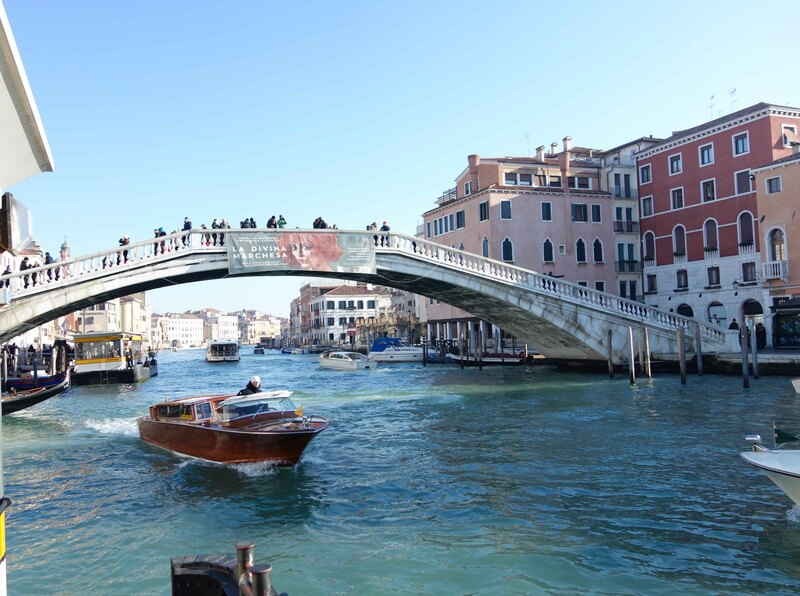 The bridge was built between 1932 and 1934 to the design of Eugenio Miozzi, civil engineer, and is an example of formal elegance, architectural consistency and daring engineering, particularly as the vault of the bridge is built entirely of stone. The whole structure is made of solid blocks of Istria rock, from the Orsera quarry, the same rock used in the construction of the Libreria Vecchia in San Marco’s Square; it has no supporting structure, either in reinforced concrete, or iron, or bronze… it is simply made of stone – Istria stone. Istria Stone, due to its very low porosity, low pore size and high superficial hardness, is considered to have a durability of 500-1000 years. The preservation of so many Venetian monuments is largely due to the high quality of this stone. Today the bridge is a busy highway, rising above the constant rumble of wheels of tourist suitcases and home to a swarm of itinerant salesmen who, just like infant fish are constantly on the collective lookout for danger and will roll up their white cloths full of selfie-sticks and hurry away to shelter in the dark narrow maze of alleys nearby. This causes a constant ebb and flow like a tide, whenever there is a sighting or a rumour of patrolling authorities. 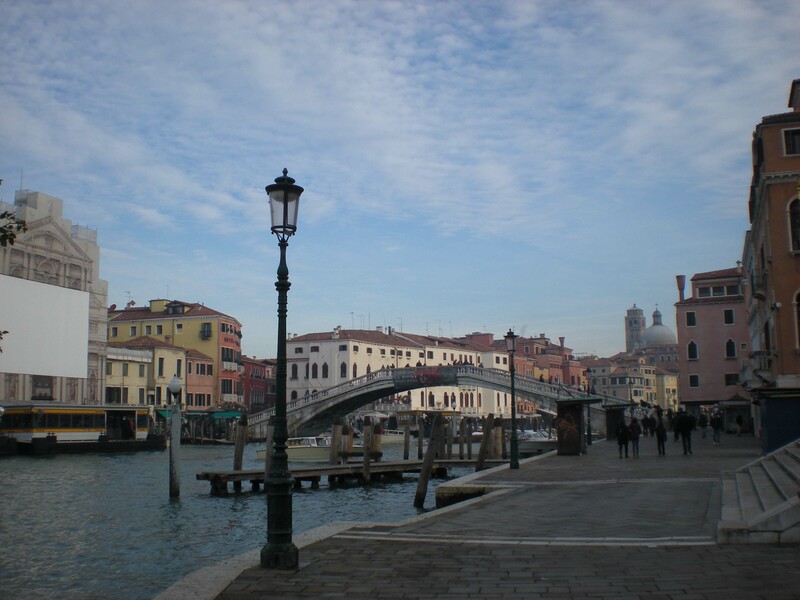 This entry was posted in FUN, ITALY and tagged bridge, canal, diary, journal, travel, Venice. Bookmark the permalink.